Posted August 1, 2017 in Jack Kirby, Portrait Gallery. 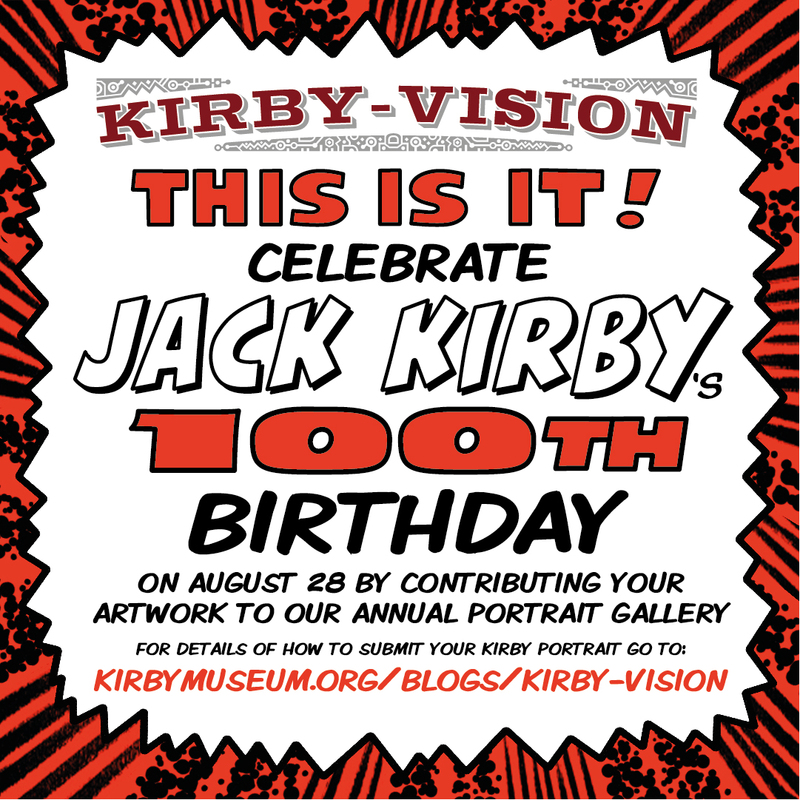 the occasion, Kirby-Vision would like to invite all of our readers to contribute to our annual Birthday Portrait Gallery. As you can see from our previous galleries – 2016, 2015, 2014, 2013, 2012, 2011, 2010 and 2009 – there’s a lot of love out there for ‘The King of Comics’ and everyone who has contributed in the past has excelled themselves with their tributes.